Twice before I’ve described what it’s like to be a member of the Beakerhead photo crew: my first try at event photography in 2014 and my sophomore experience in 2015. No barrier, behind the scenes, front of house access to amazing and inspiring STEAM events and installations is intrinsically rewarding! Add to that the possibility of seeing one of your images picked up by a digital or print publication and the enjoyment that comes from working with a team of (mostly) professional photographers and, of course, I didn’t hesitate to put my hand up to volunteer for the 2016 photo crew. Training – As in past years, photo crew members had the opportunity to attend training sessions. I attended one workshop delivered by experienced members of the photo crew. They covered how to photography the essence of Beakerhead and introduced the basics of videography with a DSLR (most important takeaways: use a tripod, don’t zoom, don’t pan). New for 2016 was a workshop from The Camera Store’s Chris Niccolls, who covered optimal settings for photographing low-light events. NOTE: if you want the details, leave a comment to let me know and I’ll reply with the nitty-gritty. Shot Lists – New in 2016, some events had specific shot lists. The general shot list was more detailed than in past years, plus the number of shots to be submitted for each assigned event more than doubled compared to past years. Videography – New for 2016 was a request for members of the photo crew to shoot “B roll” as part of each assignment. For those of us unaccustomed to shooting video, @PixelsPhotons shared tips and tricks to increase the likelihood of coming away with decent video via DSLR. Again, if you want details, let me know with a comment. Submitting Images – In previous years, members of the photo crew submitted images directly to Beakerhead’s Flickr page, a procedure fraught with issues. Cloud storage was central to 2016’s submission process. My view is that a having a media-savvy person post images to Flickr provided the significant benefit of a second, appropriately critical perspective on our self-selected images. The result is a stronger set of images to tell the story of Beakerhead 2016. Rental Gear – The Camera Store‘s partnership with Beakerhead extended beyond providing classroom space and expert instruction. Each member of the photo crew was allocated a gear rental budget. Since I don’t shoot Canon or Nikon (and most of the rental gear is one of those two brands), I opted to rent an external mic for shooting video (Rode Video Mic Pro). Access to Community Partners – Also new in 2016, Beakerhead crew members had several opportunities to visit community partner sites, including Big Rock Brewery, Telus Spark, The Locked Room and the Calgary Zoo. I made time for two of these, including the trip to the zoo where we saw a lot of birds. Engineered Eats is at the intersection of fantastic food/delightful drinks and STEAM. Local chefs and bartenders turn to science and art to re-imagine some of their favourite dishes and drinks and/or create something entirely new for foodies to enjoy. For the first couple of years, there were no engineering constraints. 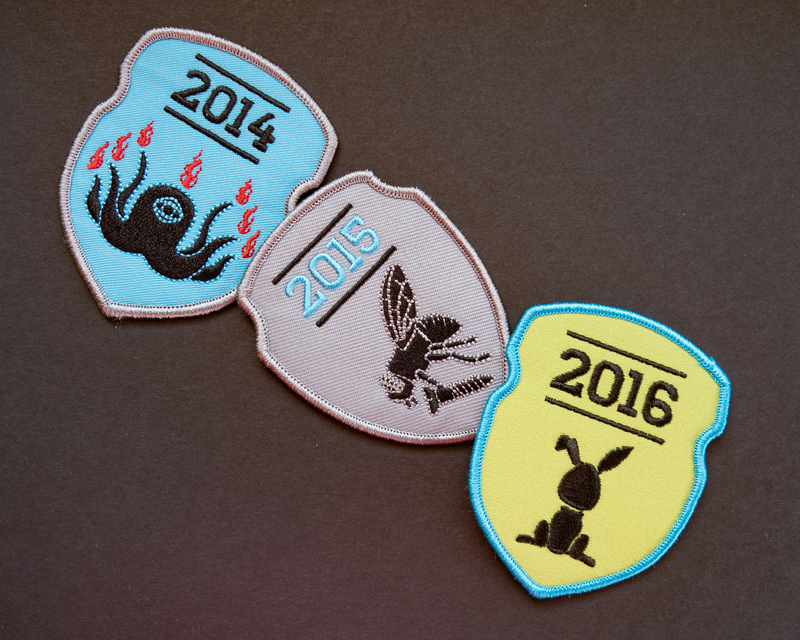 In 2015, Beakerhead introduced the idea of a featured ingredient, beginning with eggs and moving on to dairy in 2016. While Engineered Eats was a faint blip on my geek radar in past years, it was only in 2016 that I opted to try to land any of the highly coveted Engineered Eats assignments (coveted because you get to meet amazing chefs/bartenders AND sample their amazing creations). There was a separate shot list for Engineered Eats assignments: the establishment, the chef or bartender and the engineered dish or drink. I landed three Engineered Eats assignments which I executed very inconsistently, mainly because I forgot I had switched to using back button focus. This was a BIG error on my part. Even worse, when Chris Niccolls recommended we use back button focus (aka focus lock) for event photography, another member of the photo crew warned us that it’s common for back button focus noobs to forget they’ve separated focusing from the shutter button. I felt sick when I realized I’d come away with out-of-focus images from my second assignment. Fortunately, this was early enough in the schedule that Beakerhead discretely sent another photographer out to cover my big mistake. Also fortunately, I learned my lesson and didn’t make the same mistake twice (at least not during Beakerhead). 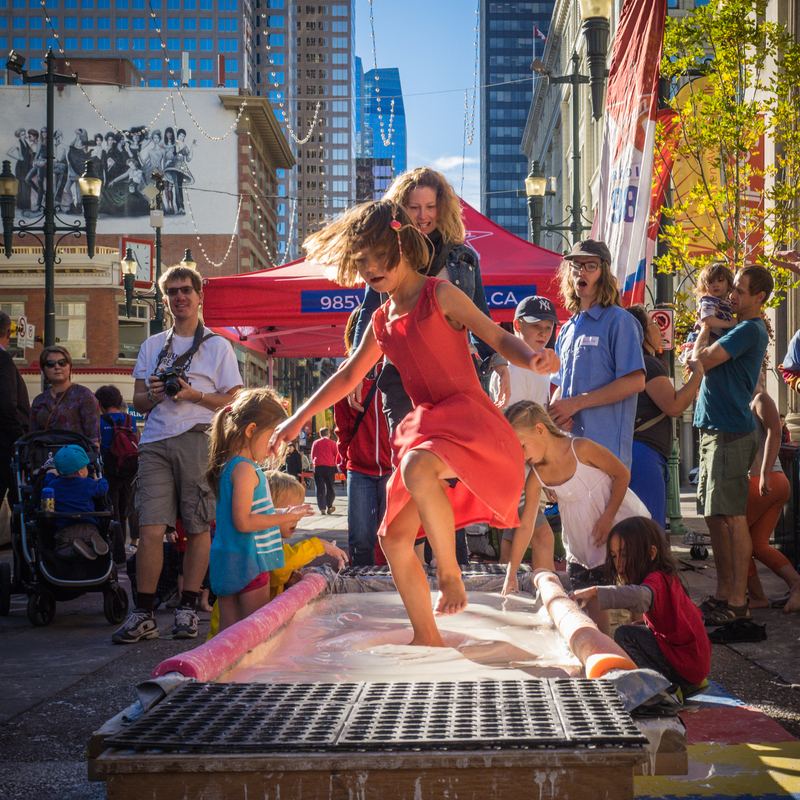 Each year, Beakerhead recruits volunteers to help with the set up of major installations and events. For the past couple of years, I’ve signed up for at least one volunteer shift during the set-up phase; it’s a chance to meet the creator(s) and get some BTS photos. 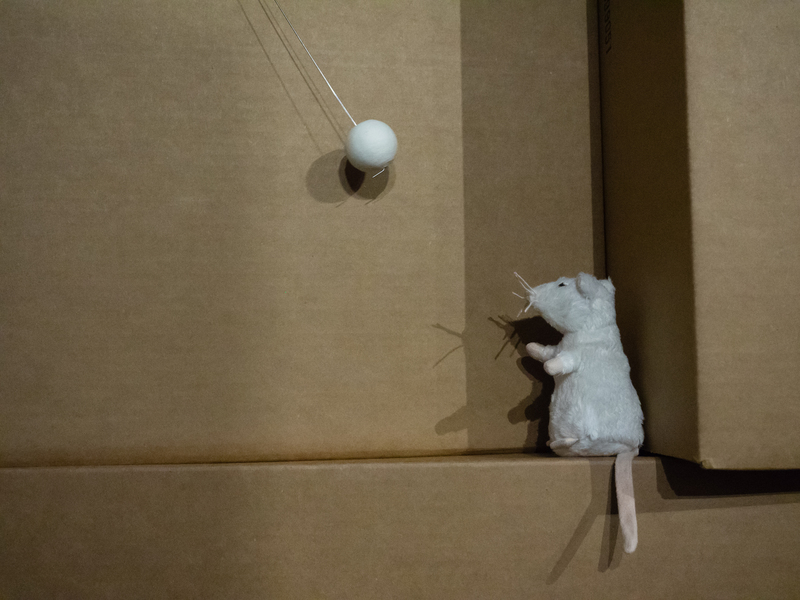 This year, Squeakerhead joined me for the Monday morning shift working on the set-up of Zimoun’s sound sculpture. From the opening celebration Wednesday morning to the volunteer wrap party Sunday night, photo crew members put in long days photographing hundreds of hours of programming. I was assigned a pretty even mix of events and installations. As long as we covered our assignments, photo crew members were welcome to attend and photograph any open events of interest. Bella Luna is where I discovered the white balance challenges that come with photographing speakers in front of a large projection screen! And it’s also where I really appreciated the rental mic which did a great job recording the voices of an acapella vocal group from the University of Calgary. The best thing about volunteering with the Beakerhead photo crew is working with and learning from the rest of the crew; they are fantastic and their photos inspire me to keep working hard.